I’m mixing it up this week by going straight into the Feature Presentation. 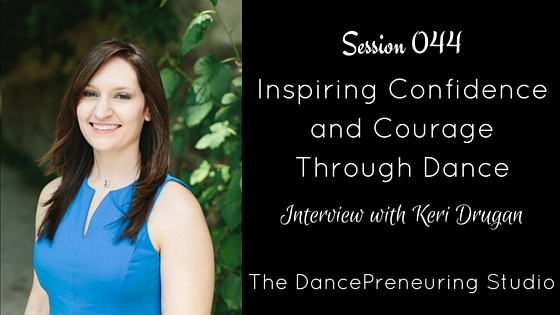 I really enjoyed my conversation with this week’s guest, Keri Drugan, who used setbacks in her dance training to build her business and positively impact others. Feature Presentation: Keri Drugan is a choreographer, teacher and founder of eMotion Dance and Fitness Studio in Fairfax, Virginia. She has her BFA in Dance and has been coaching for over 13 years. Her studio has been buy tramadol pharmacy featured the last two years on the popular SYTYCD show. I love how intentional Keri is with her business and the culture of teamwork that she has fostered because she inspires courage and confidence in all of her students. Keri is my dance team coach and she is the absolute best! Emotion has inspired me for the past 3 years and the team is like a second family to me. I loved this podcast and I enjoyed all your questions! Thank you for listening to this podcast and I appreciate your feedback. It was truly a blessing for me to have this conversation with Keri. : ) It says a lot that the eMotion team is like a second family to you.